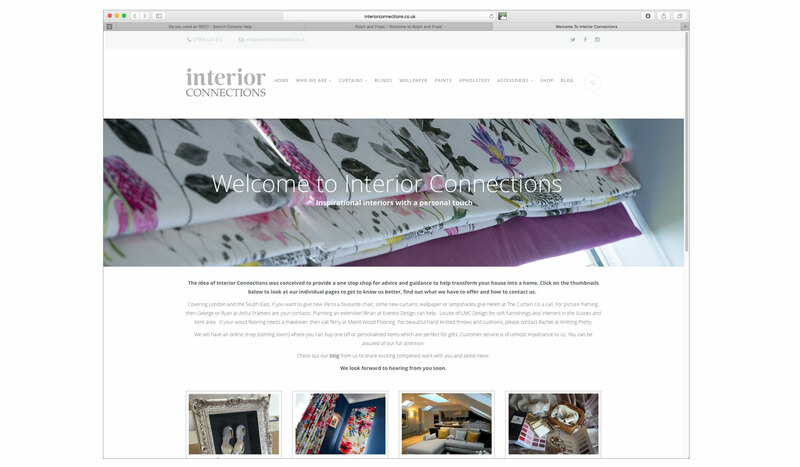 Interior Connections is a a one stop shop for advice and guidance to help transform your house into a home. 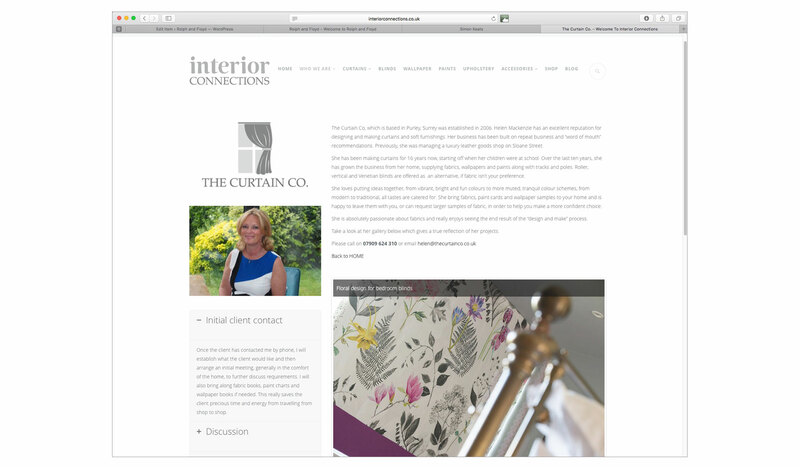 Brainchild of talented curtain/soft furnishings maker Helen Mackenzie, interiorconnections.co.uk is a collaboration of like-minded companies related to the interior design business. 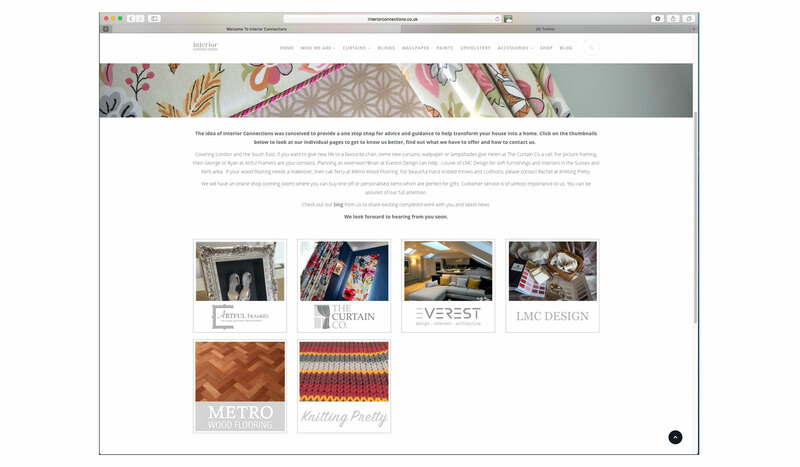 Helen wanted us to design a brand and website for her new venture. 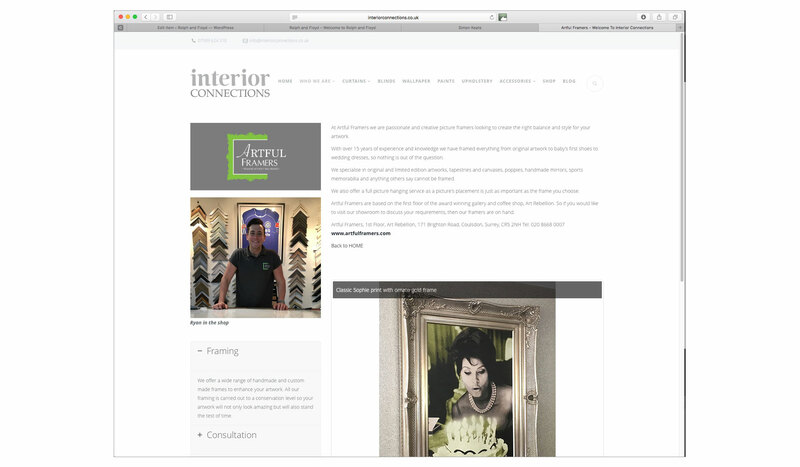 She wanted to add collaborators so they could have their own page with details of their business plus a gallery of images. 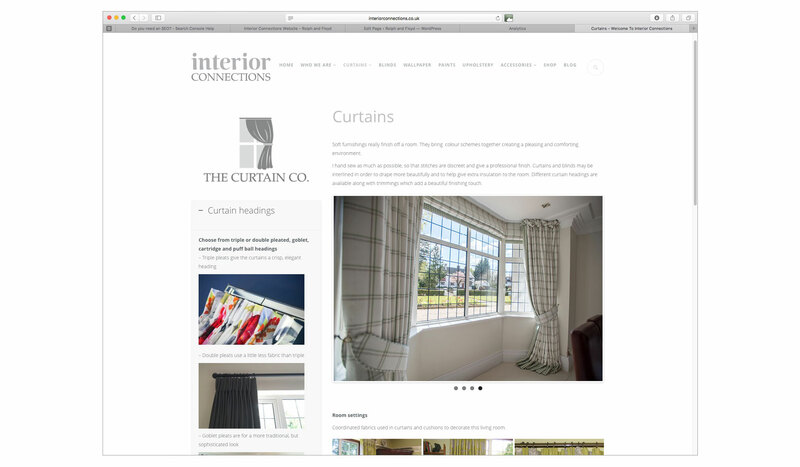 We developed a WordPress site that incorporates a specially designed dashboard to add collaborators to the homepage and elements to their linked page. 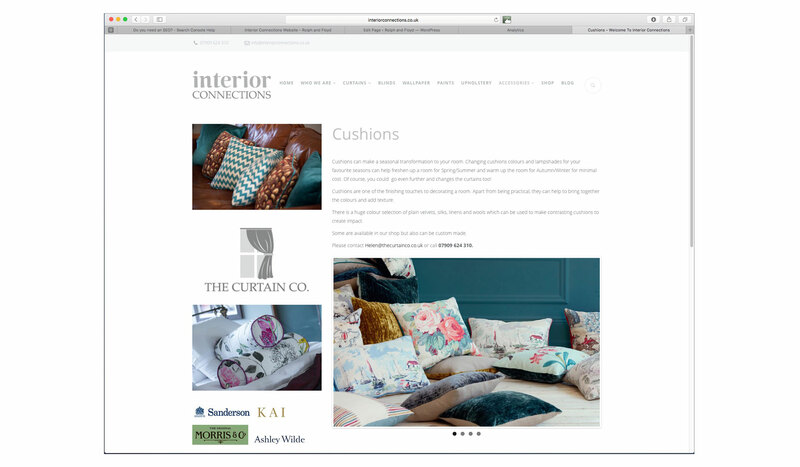 With full back-end access the client can make edits and changes and write her own blog.